´Deze is echt lekker mama´. Iedereen pakte gewoon nóg een plakje. Dit zoete brood gemaakt van speltmeel, chocola en banaan zal ik vast vaker maken! Ik haalde er 14 plakken uit en heb deze per 2 ingevroren. Handig voor de lekkere trek. Weeg de ingrediënten af, zet een grote 2 kom en de blender klaar en verwarm de oven voor op 180 graden. Mix de droge ingrediënten door elkaar in een kom. 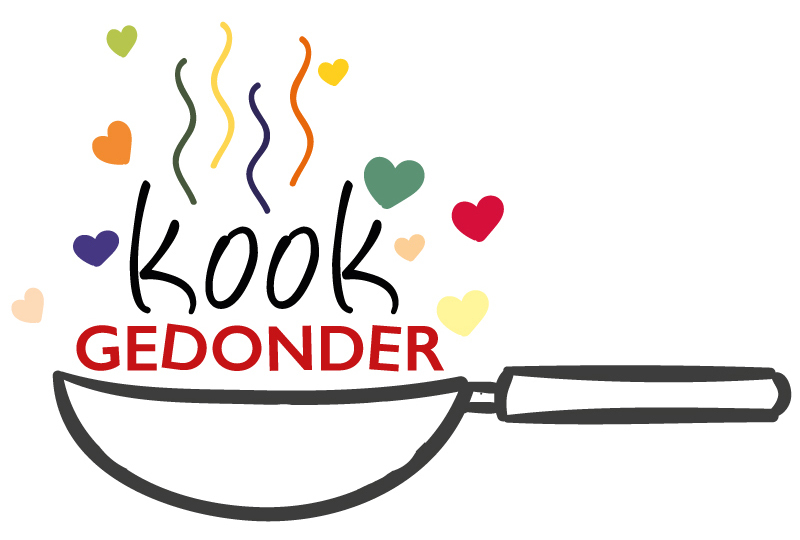 Maak in een blender de natte ingrediënten kleiner en voeg aan de kom met het meelmengsel toe. Roer goed. Meng er daarna stukjes chocola en de nootjes doorheen. Ik gebruikte zelf fijngehakte pure chocola (85% cacao) en cashewnootjes. De complete mix schenk je over in een ingevette bakvorm. Zet deze ongeveer 65 minuten in de oven. Als de prikker en schoon uitkomt dan is je zoete brood klaar. Lekker met roomboter! Dit is een variant op het recept van Restaurant Aardbei in Amsterdam. Zij voegen een grote hand klein gesneden aardbeien toe + extra voor garnering. Ook gebruikten zij hele hazelnoten. Thank you for all of the hard work on this web site. My mum enjoys setting aside time for investigation and it’s simple to grasp why. All of us learn all regarding the powerful medium you present both useful and interesting guidelines on the web site and as well strongly encourage response from visitors about this situation plus our own simple princess is actually starting to learn a great deal. Take pleasure in the rest of the year. You’re the one doing a fabulous job. I must express my appreciation for your generosity for those individuals that have the need for help with that concern. Your very own dedication to passing the solution all through appears to be extraordinarily effective and has specifically helped regular people just like me to arrive at their objectives. Your own insightful facts implies so much to me and especially to my colleagues. Best wishes; from each one of us. I precisely wanted to appreciate you yet again. I’m not certain the things that I could possibly have sorted out without the methods discussed by you relating to my question. It seemed to be a frustrating dilemma for me, but witnessing the very well-written avenue you handled it took me to leap over fulfillment. Now i’m thankful for your help and even sincerely hope you realize what an amazing job you’re providing educating people with the aid of your blog post. Most likely you have never met any of us. I enjoy you because of every one of your work on this blog. My mother take interest in getting into research and it is easy to understand why. I learn all concerning the compelling manner you convey priceless guides via this web site and in addition increase participation from the others on that concern plus my princess is certainly learning a lot. Have fun with the rest of the year. You are doing a pretty cool job. Thank you so much for providing individuals with such a marvellous opportunity to read critical reviews from this web site. It’s always so amazing and full of a lot of fun for me and my office fellow workers to search your site at the very least thrice weekly to learn the latest stuff you have. Not to mention, we’re actually satisfied with your cool pointers served by you. Selected 3 facts in this posting are easily the most effective we have ever had. I must voice my appreciation for your kind-heartedness for persons that need help on in this matter. Your very own dedication to passing the solution along turned out to be especially valuable and have helped associates just like me to reach their desired goals. Your personal important facts implies much to me and additionally to my colleagues. Regards; from all of us. I must express my appreciation for your generosity giving support to those people that need help on in this concept. Your real commitment to passing the message along had been certainly useful and have really made regular people just like me to realize their pursuits. The invaluable guideline implies a lot a person like me and even further to my colleagues. Thanks a ton; from everyone of us. A lot of thanks for your own effort on this web site. My daughter take interest in making time for research and it’s really simple to grasp why. Most people learn all relating to the powerful means you present informative tips and tricks on the blog and even cause participation from other people on the theme plus my simple princess has been becoming educated so much. Take pleasure in the remaining portion of the year. Your performing a very good job. I want to get across my appreciation for your kind-heartedness in support of folks who really need assistance with your subject. Your personal dedication to getting the message all through has been exceptionally insightful and have always made women just like me to arrive at their ambitions. Your personal valuable advice can mean this much to me and especially to my peers. Thanks a lot; from each one of us. I and also my buddies were found to be viewing the nice tips and tricks found on the website then before long developed a horrible feeling I had not expressed respect to you for those techniques. Most of the men are already absolutely excited to read them and now have clearly been taking advantage of those things. Appreciate your genuinely so considerate and also for pick out this sort of great areas millions of individuals are really desirous to be aware of. Our honest regret for not saying thanks to earlier. I enjoy you because of all your work on this website. My niece really likes managing internet research and it’s easy to see why. We know all about the powerful means you present good solutions by means of your blog and in addition welcome contribution from visitors on that idea plus our favorite daughter is always studying a lot of things. Take pleasure in the rest of the year. Your carrying out a brilliant job. My spouse and i have been so cheerful Michael could carry out his analysis through the entire precious recommendations he made from your own site. It is now and again perplexing to simply continually be giving for free guidelines that some others may have been selling. Therefore we already know we’ve got the writer to be grateful to because of that. These illustrations you’ve made, the simple site navigation, the relationships you can aid to foster – it’s mostly astounding, and it’s really facilitating our son in addition to us consider that that article is fun, which is certainly particularly mandatory. Thanks for the whole lot! I definitely wanted to jot down a small message to express gratitude to you for some of the splendid techniques you are placing on this website. My incredibly long internet research has at the end been honored with good quality content to talk about with my good friends. I ‘d state that that many of us site visitors actually are very much endowed to live in a perfect website with so many lovely professionals with very helpful hints. I feel very much lucky to have used your entire web site and look forward to tons of more fun times reading here. Thank you again for a lot of things. My spouse and i were so thrilled that Michael could finish up his survey through the ideas he gained while using the web page. It’s not at all simplistic to simply happen to be freely giving things men and women might have been selling. And we all realize we have the blog owner to be grateful to for that. The entire explanations you’ve made, the straightforward web site navigation, the relationships you will aid to foster – it is many impressive, and it is making our son in addition to our family understand this content is brilliant, and that is extremely important. Many thanks for all! Thanks so much for giving everyone an extraordinarily wonderful chance to read in detail from here. It’s always very terrific and packed with a lot of fun for me and my office acquaintances to visit your site really three times weekly to study the newest things you will have. And of course, I am certainly happy concerning the powerful creative concepts served by you. Certain 1 points in this post are unequivocally the most effective we have all ever had. Thanks a lot for providing individuals with an extremely terrific chance to read critical reviews from this site. It is usually very sweet plus packed with amusement for me personally and my office peers to search your site particularly thrice per week to find out the new stuff you have got. And definitely, I am actually impressed with your astonishing methods you give. Certain 4 ideas in this posting are particularly the most effective I’ve ever had. My spouse and i got very lucky when Louis could deal with his basic research through your precious recommendations he got in your site. It is now and again perplexing just to happen to be handing out tactics which usually men and women could have been trying to sell. And we recognize we now have you to appreciate for this. The main explanations you’ve made, the simple website navigation, the friendships you can help to instill – it’s got all impressive, and it is letting our son in addition to the family believe that that theme is entertaining, which is highly mandatory. Thank you for all the pieces! I together with my buddies were found to be reviewing the best things located on your web site while unexpectedly came up with a terrible feeling I had not expressed respect to the web blog owner for those strategies. All of the guys were definitely as a result thrilled to see all of them and have in effect simply been taking pleasure in these things. Many thanks for actually being quite kind and then for making a decision on variety of fine topics most people are really eager to learn about. My very own honest apologies for not saying thanks to earlier. Thank you for your entire work on this website. My daughter takes pleasure in going through investigation and it’s obvious why. We notice all concerning the powerful method you give very important thoughts by means of this blog and as well as improve response from website visitors on this subject and our favorite simple princess is certainly learning a lot. Have fun with the rest of the new year. You’re carrying out a great job. Thanks so much for giving everyone such a special opportunity to read in detail from this site. It is often very sweet and stuffed with fun for me personally and my office fellow workers to visit the blog at least three times every week to learn the fresh guidance you will have. And definitely, I am just certainly amazed with all the wonderful strategies you serve. Certain 4 ideas in this article are really the very best we’ve had. My spouse and i got so cheerful when Ervin managed to finish up his researching using the precious recommendations he grabbed from your very own weblog. It is now and again perplexing just to possibly be giving freely information which the rest might have been trying to sell. We do know we need the website owner to be grateful to for this. Those explanations you made, the simple web site menu, the friendships you can help create – it is many powerful, and it is letting our son and our family imagine that this subject matter is amusing, which is certainly exceptionally pressing. Thank you for everything! I needed to draft you a tiny word to finally thank you again for these striking opinions you’ve featured on this website. It has been certainly extremely generous of people like you to make unhampered all that a lot of folks could possibly have distributed as an e-book in order to make some dough on their own, particularly considering that you could have done it in the event you desired. Those secrets additionally worked like a good way to realize that many people have similar interest much like mine to figure out a whole lot more in terms of this issue. Certainly there are several more pleasant sessions up front for individuals that look into your website. I intended to create you the very little remark to be able to say thank you yet again with the marvelous tricks you have provided at this time. It was so pretty generous of you to allow freely all a few individuals would have made available as an electronic book to make some dough for their own end, and in particular since you might well have tried it in case you decided. The thoughts as well served to be the easy way to realize that other people online have a similar desire the same as my personal own to know great deal more with regards to this issue. I am certain there are thousands of more pleasurable situations ahead for folks who look into your site. Thank you for every one of your labor on this website. My mother really loves getting into internet research and it’s easy to see why. We know all about the lively ways you provide practical guidance through this web site and therefore attract response from other individuals on this theme so my daughter is undoubtedly learning a whole lot. Enjoy the remaining portion of the new year. You’re the one conducting a fantastic job. I wish to express my affection for your kindness giving support to those individuals that need help with this particular subject matter. Your special commitment to passing the solution throughout ended up being pretty practical and have regularly allowed men and women much like me to achieve their desired goals. Your entire warm and friendly guide entails this much a person like me and additionally to my fellow workers. Thanks a lot; from everyone of us. Thanks so much for providing individuals with an extraordinarily breathtaking opportunity to read critical reviews from this web site. It really is very useful and also stuffed with a lot of fun for me and my office friends to search your blog the equivalent of thrice weekly to find out the latest items you will have. And of course, we are always contented with all the outstanding suggestions served by you. Certain 3 tips on this page are absolutely the most effective we have all had.